With over 20 years experience in swimming coaching, and a further 10 years competing at GB international level, Head Coach Lee Holland has coached athletes from adult improvers to World Championship Tri and Ironman Competitors. 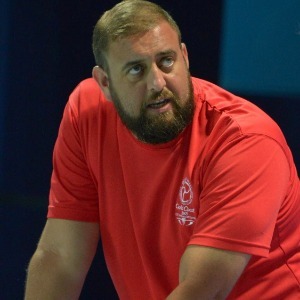 Having been Head Coach at 3 Commonwealth Games, and achieved over 50 Medals at GB National and International level, Lee's CV boasts World, European and British Record holders and a unique training system many consider a break from the "Norm". My training ethos is different to many more conventional coaches in the ever present argument of "quality vs quantity" and "meters for meters sake". However I have developed programmes for a range of swimmers that achieve results without unnecessary wear and tear stress normally associated with "Distance" training. Sessions can be provided in workout builder, or Excel format. Individual bespoke coaching packages and "off the shelf" session plans available. Athlete required to WANT to achieve and be PREPARED to work for it! Plans to suit level after consultation. Success. Coach Lee Holland has been notified of your message. Block 1 plus 3 session taper.